Thanks to Roger Brown and Chris Druce, Commercial Motor, for the excerpts used here. 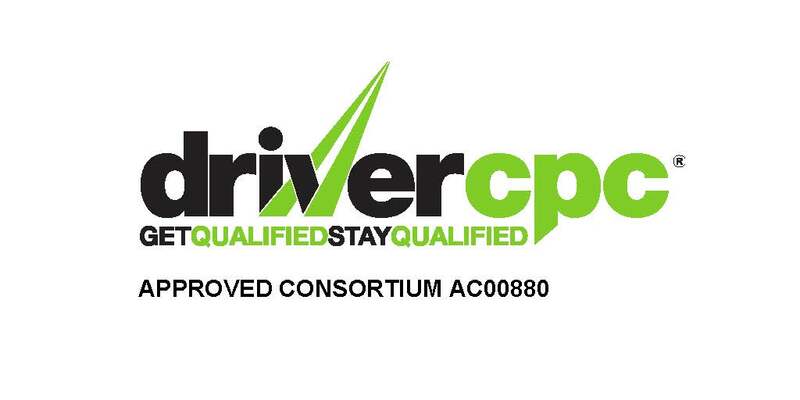 The views expressed are those of the authors and not those of Driverlink Training Ltd.
Commercial vehicle drivers face larger fines from today, (16th August 2013) with careless driving now punishable with a fixed penalty notice (FPN) and graduated fixed penalties (GFP) for offences such as breaking drivers’ hours increased. Described by the Institute of Advanced Motorists (IAM) as the largest change in traffic policing policy in decades, the move to make careless driving an offence punishable by FPN attracted plenty of headlines earlier this summer with the mainstream press emphasising £100 fines for middle-lane hoggers on the motorway. Careless driving occurs where the standard of driving falls below that expected of a competent and careful driver; examples include momentary lapses of concentration and tailgating. Inconsiderate driving occurs where a motorist is found to be driving without reasonable consideration for other road users. In this situation, the police officer needs only to be satisfied that the motorist’s driving inconvenienced other road users. This could include behaviour such as cutting into a queue of traffic and hogging the middle lane on a motorway. Will the change really work? FPNs are widely used as a method of punishment for incidents that have been committed that are perceived to be less serious traffic infringements. Implementation of an FPN regime for the offence of careless driving means that, where a police constable in uniform witnesses first hand, or possibly by way of photos or video footage, what they consider to be poor driving, they have the ability to stop the motorist and issue them with an FPN – either at the time of the incident or at a later date. The motorist can, if they wish, refuse to accept the FPN and challenge the evidence in court. However, when the key evidence is from an experienced road traffic officer, the likelihood of acquittal might be low. What are the risks with FPNs? Drivers issued with an FPN could find themselves in a situation where, faced with the alternative of taking time off work to attend court, and potentially having to receive more penalty points if their defence is rejected, they feel under pressure to accept an FPN for a swift resolution. A driver shouldn’t feel under pressure to accept an FPN on the spot and shouldn’t pay the fine or surrender their licence until they have considered the matter and obtained legal advice. It might be that the allegation can be defended, particularly if there are circumstances the police officer isn’t aware of. This is particularly important for drivers whose livelihoods depend on their licence. The potential advantage in accepting an FPN in cases of alleged careless driving is that penalty points will be limited to three (and the fine to £100) as opposed to up to nine points plus potential disqualification, which could be issued by a magistrates’ court. This might be seen by some to be a less risky option. However, professional drivers and their employers should also consider the insurance implications that accepting three points will have – premiums will increase, for example. Where an FPN is accepted, no evidence will be heard in court and the punishment will effectively be handed out based purely on the perception of the police officer. This will likely lead to a discrepancy in the standard of driving for which a penalty is issued and uncertainty for drivers, employers and insurers. For example, LGV drivers are, to an extent, frequently left with little option but to hog the middle lane due to overtaking times. There is an added risk that an FPN may be offered and accepted for an apparently minor driving offence where no injury is initially alleged but one then materialises at a later date. Under such circumstances, this would provide a road traffic conviction that can potentially be relied upon by the injured party as an admission of liability to support a subsequent civil claim. We would recommend that any motorist offered an FPN ensures they write an account of the incident as soon as possible. Recording the circumstances as accurately as possible at an early stage could assist in establishing whether to defend the charge or whether to accept the FPN. Will FPNs for careless driving work? The demotion of careless driving to the FPN scheme sits a little uncomfortably with the offence of causing death by careless driving, as the same standard of driving may now result either in prison or an FPN, depending almost entirely on circumstances beyond the driver’s control. The government’s thinking is that road safety will improve as motorists drive more carefully for fear of on-the-spot fines. However, detection will be largely dependent on police presence and, with ongoing cutbacks to police numbers, there appears less chance that an offence will be witnessed and a motorist stopped. The government also says it will increase penalty levels for FPNs and graduated fixed penalties generally. Although penalty levels will increase, penalty points will not change. FPNs for parking, waiting and obstruction offences will also remain unchanged. A non-endorsable £30 fixed penalty notice will rise to £50. An endorsable £60 and non-endorsable FPN will rise to £100. An endorsable £120 FPN will rise to £200. The fixed penalty notice for driving with no insurance will rise from £200 to £300. A £30 non-endorsable fine will rise to £50. A £60 endorsable and non-endorsable fine will rise to £100. A £120 endorsable and non-endorsable fine will rise to £200. A £200 endorsable and non-endorsable fine will rise to £300. Hope this helps, drive safely.